Living and exploring the area is easier than ever with available parking at our Mountain View apartments. Named for it’s outstanding Santa Cruz mountain views, Mountain View is an incredible suburban area, and offers some truly incredible nearby attractions for you to peruse. Right in town you can check out the Computer History Museum and learn about the history of computers, the internet, and our changing relationship to both. Maybe you’d like to check out the Mountain View farmers market and buy some delicious home-grown produce. Our favorite thing has to be seeing shows at the Shoreline Amphitheatre. Whatever it is you’re looking for, Mountain View is a welcoming community with no shortage of incredible things. 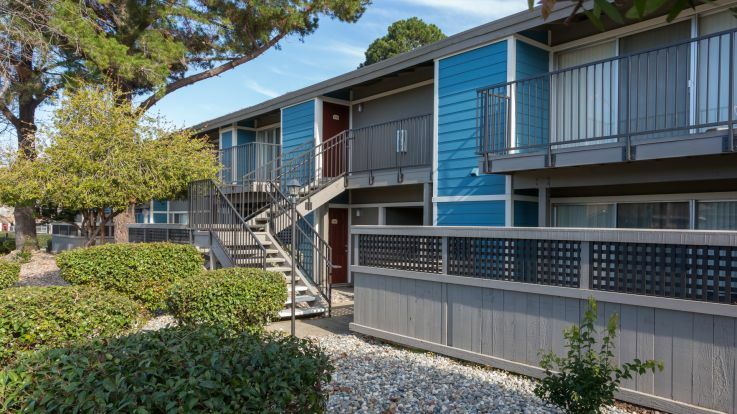 Our Mountain View apartments come right by the highway, making your commute to any of the major tech companies in the area a total breeze. We offer some other amazing amenities too, like a 24 hour fitness center, a heated outdoor swimming pool, and a bocce ball court! Whatever your reasons for looking to stay in Mountain View, worry no longer. We have the absolute best mountain view apartments with parking available.